Minty came to PADS after the death of his owner. Minty will need an experienced and patient dog owner, he’s strong on the lead and pulls at first but will settle down in time, his recall is not good. He is house-trained and can be left for a couple of hours at a time but does like to shred bedding! He likes other dogs, but sometimes a little bit too much – hopefully recent castration may help with this. Minty has never been around cats or young children. 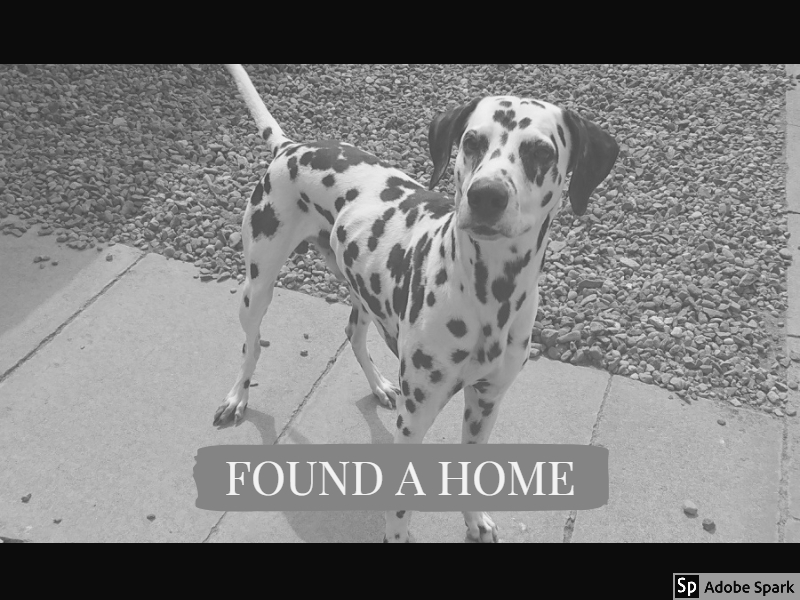 This entry was posted in Found a Home and tagged Adoptdontshop, Dalmation, Rescue Dog, spotty dog.